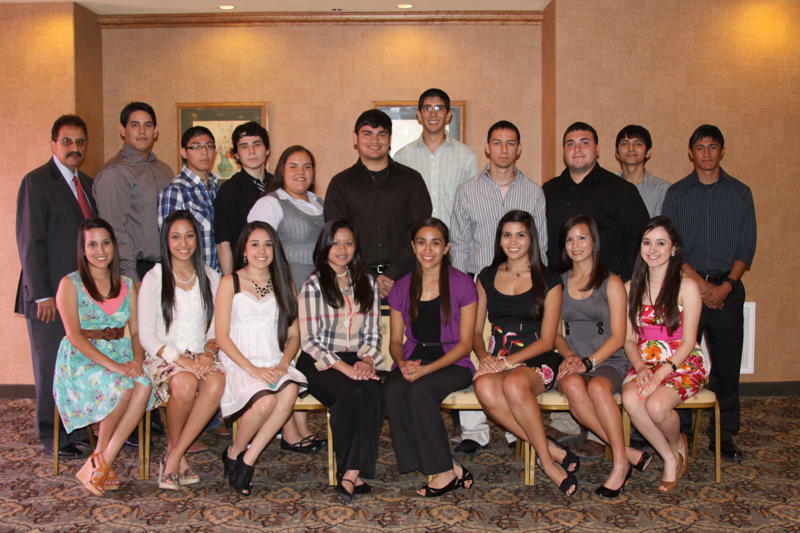 On Tuesday, May 24, 2011, a breakfast was held to honor the top 10 graduates from RGCCISD Grulla High School and Rio Grande City High School at the Holiday Inn Express. Mrs. Adelina Villarreal-Federal Programs Assistant Director and Guidance Director served as Mistress of Ceremonies. Mrs. Villarreal welcomed the students and congratulated them for all of their accomplishments. This breakfast marked the beginning of a celebration of the district's two high schools Top 10 students coming together. History was in the making with the students from the newly built district's second high school being honored side by side their comarades from the existing high school. Students from both high schools stood up and conveyed pride in their accomplishments and expressed their educational goals. Everyone present also expressed words of wisdom to the students who sat quietly taking in all of the information. Mr. Roel Gonzalez-Superintendent congratulated all the students for their success and asked them to continue working hard to attain their dreams and goals. He told them to trust in themselves as they have been doing and they will succeed in life. "You are ready to take what life has to offer," said Gonzalez. He also asked them to create opportunities for themselves and not to wait to get breaks, but to go out and conquer. He closed by exprssing how honored he was to be in the pressence of such wonderful students. Mr. Adolfo Pena-Rio Grande City High School Principal and Dr. Pablo Martinez-Grulla High School Principals commended the students on a job well done and encouraged them to continue to seek excellence. Mr. Roel Gonzalez and Mrs. Adelina Villarreal presented a graduate figurine to each one of the students. (RGCCISD Photo).